Shark, famous for the evo-line range, like to push the boundaries when it comes to helmet design, you won’t see designs as original as the new “Raw” range. 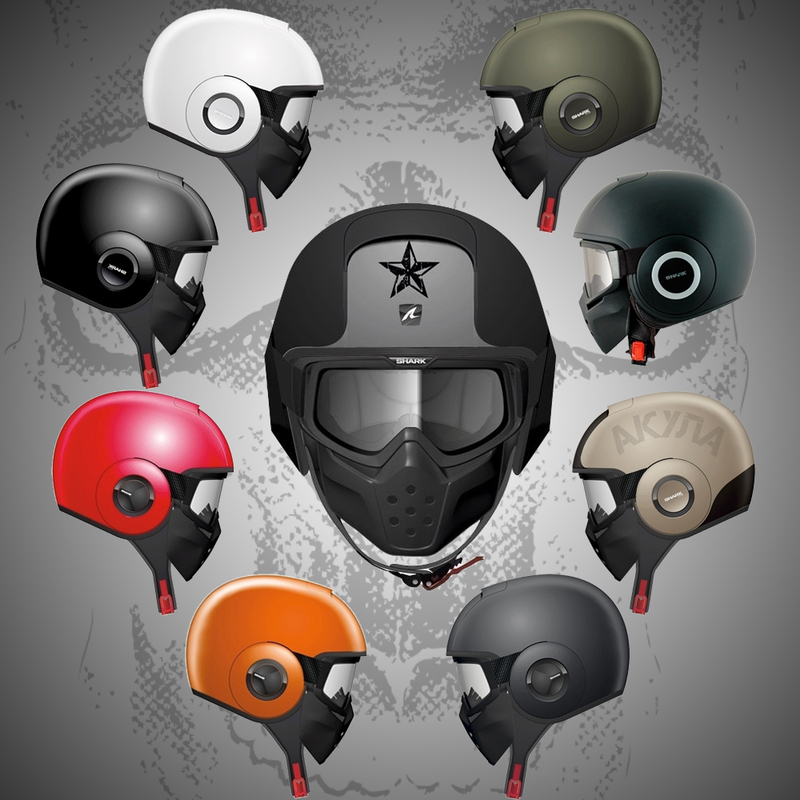 These range of helmets will be available from March 2013 for around £200. They are based on a open face helmet, with goggles and a face mask. The mask clips on to the goggles, so you can lift them up as one piece, or you can wear it as an open face helmet. They come in a wide range of colours and designs, and will work with sharktooth (Sharks bluetooth system). Shark are calling these an urban biking helmet, so I don’t know if that means they are not so good for long runs.